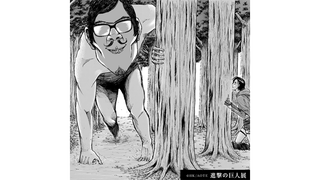 To promote the upcoming Attack on Titan art exhibit in Tokyo, the show's website launched an online Titan creator. It's a fun time waster, especially if you make goofy-looking Titans. To make your own Titan, open up the website and click on 自分でつくる (Make Your Own). Then, you'll see faces, hair, eyes, and more to select from. There are sliders at the bottom to fine tune your creation. When you are finished, click on 完成 (Done). A box will appear saying 名前を入力してください (Please Enter Your Name), but since it is asking for you to do so with Japanese kana, those who don't have Japanese keyboards can just copy paste コタク (Kotaku), if you like. Feel free to share your Titans in the comments below!